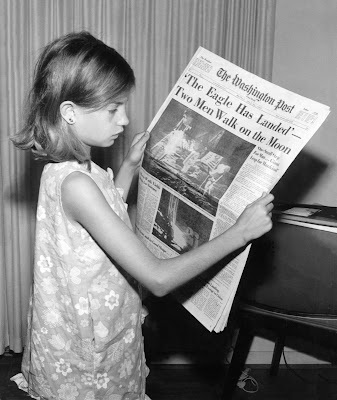 ”The Moonwalk” may have been around since the 1940’s, but when Apollo 11 landed forty years ago today, the first men walked on the moon. I remember that day - as a matter of fact, I had completely forgotten about the whole episode and the young lady involved until I started thinking back to where I was on that day. Jeez, it's been a long time since I thought about her. On the other hand, I'd better not reminisce too much. (wink) Gotta work, you know. Oh, how I wish I had been alive to witness it! My mom remembers it and recounts her memories to me all the time! can you believe it was so long ago! I was only one, but I remember my Mom and Dad talking about all the Apollo missions and how American's were fascinated with the space program in the 60's.